Goumukh has no temple but temporary shrines are built near the mouth of glacier. 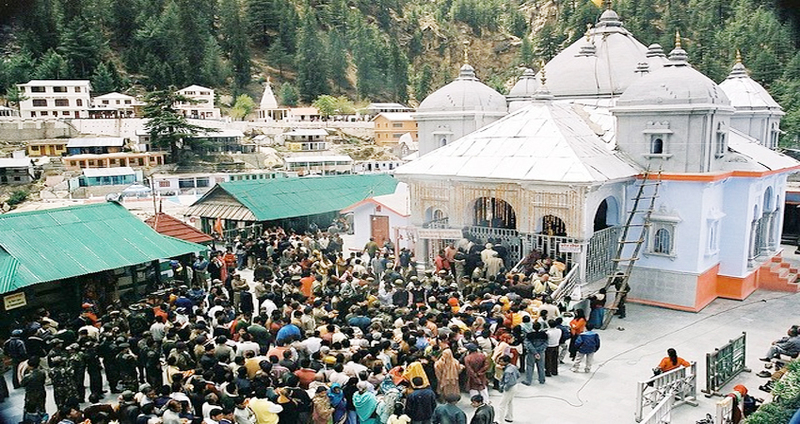 Gangotri is a part of the famous Char Dham Yatra. 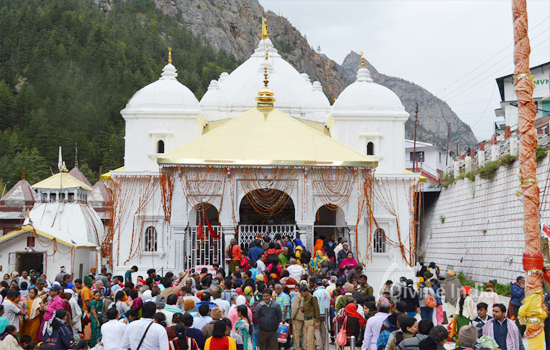 And Gangotri Dham is blessed with many temples. Gangotri temple and head towards Goumukh. Goumukh has no temple but temporary shrines are built near the mouth of glacier. Ganga is the helping hand of Indian sub-continent whose water fed its country. Ganga originates in Garhwal division of north Indian hill state of Uttarakhand. It has its source in the snow-clad peaks of unparallel and splendid attractiveness and travels 100s of kilometers in the snowy cliffs, ravines and gorges earlier than it enters the plains at Haridwar. 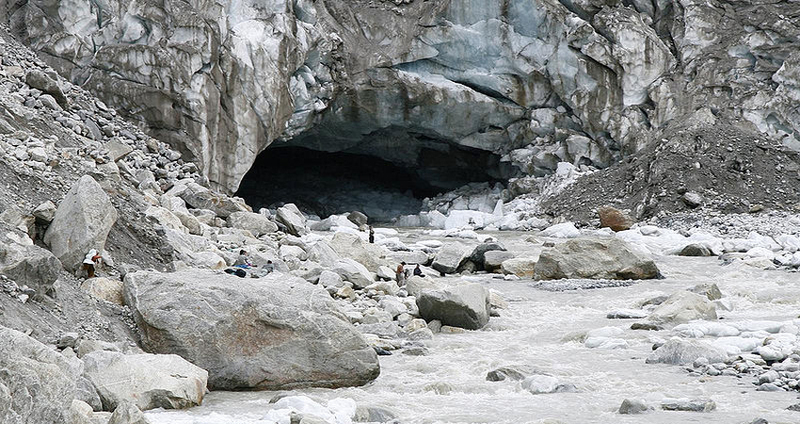 It is normally said that Ganga originates from the cow-shaped part of Goumukh glacier near Gangotri. 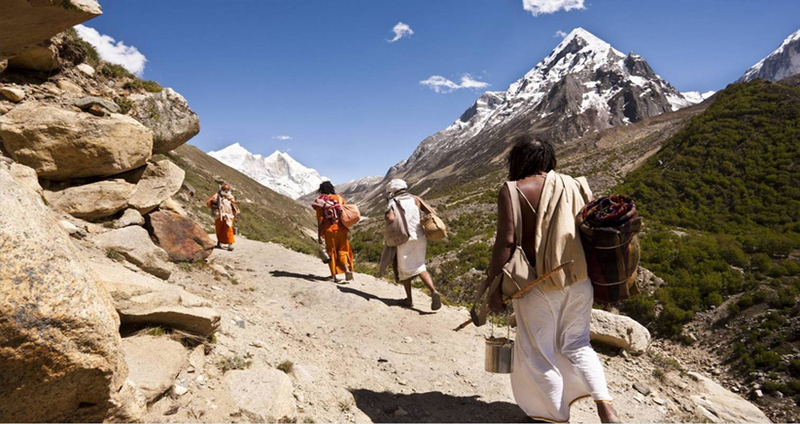 Gangotri, a holy Hindu pilgrimage is the source of holy river Ganga which is called at that spot as Bhagirathi. 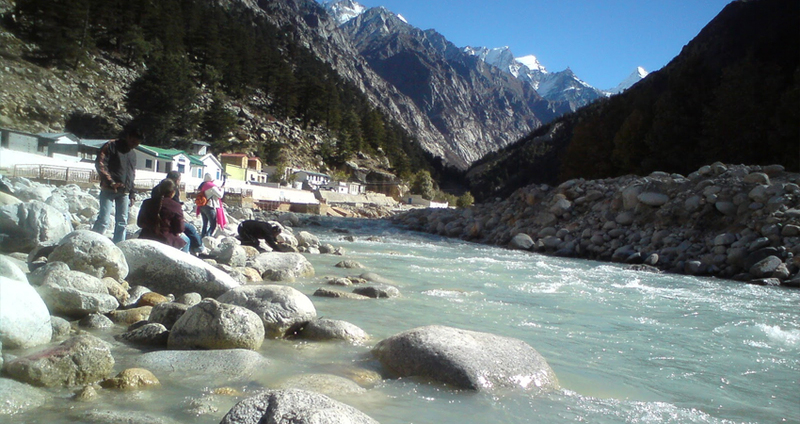 Gangotri is an attractive site which becomes highly packed throughout the months of May-June. If you are attracted in real wonders of nature then it is better you leave this site for Goumukh and Tapovan as early as possible. It means Cow's mouth and is 18 kms trek from Gangotri having a steady but gradual climb. After that place is Chirbasa meaning place of pines, about 8 kms from Gangotri and then 7 kms from Chirbasa lies Bhojbasa meaning spot of birches though no such tree exist there. Day : 2 Haridwar to Uttarkashi to Gangotri (Drive 267 Kms, 08 hrs). Morning leave for Gangotri through Uttarkashi. On arrival Gangotri check in at the hotel. At sunset visit to Darshan of Shree Gangotri ji perform aarti of Bhagirathi River. Overnight stay at Hotel. Day : 3 Gangotri to Bhojvasa (18 Kms. trek). Early in the daybreak after breakfast, start trek to Bhojvas via Chirvasa. On arrival Check in at Tent or Guest House. Overnight halt in Bhojvasa. Early in the daybreak after breakfast, start trek to Gaumukh. On arrival Gaumukh, travel around Gaumukh. Than trek down to Bhojvasa. Overnight halt in Bhojvasa. 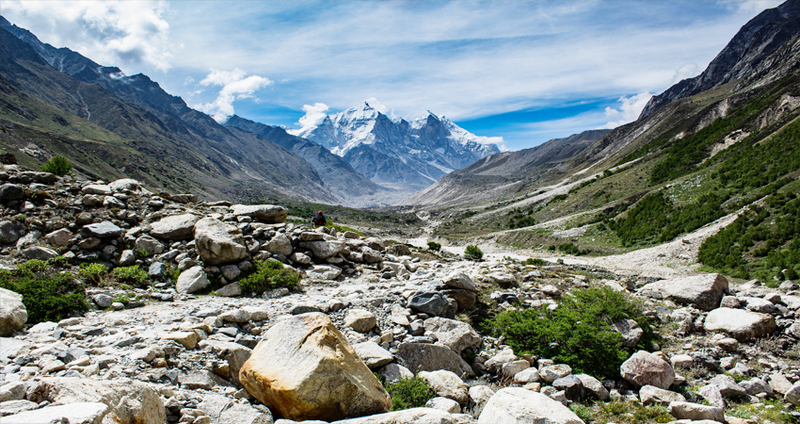 In the daybreak after breakfast, start trek down to Gangotri. Upon arrival Gangotri meet to driver and drive to Uttarkashi. On arrival Check-in at Hotel. Overnight halt at Hotel. In the early hours morning, after breakfast, drive to Rishikesh via Dharasu Band and Chamba. On arrival Rishikesh check in at hotel. Sunset time visit to Laxman Jhula and Ram Jhula. Overnight halt at Hotel. Morning after breakfast, drive to Delhi. Upon arrival in Delhi drop you at the Airport / Railway station for onwards destination.